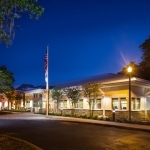 iQor Corporate Office - Mason Blau and Associates, Inc.
iQor is a business process outsourcing and product support services solutions tech company. 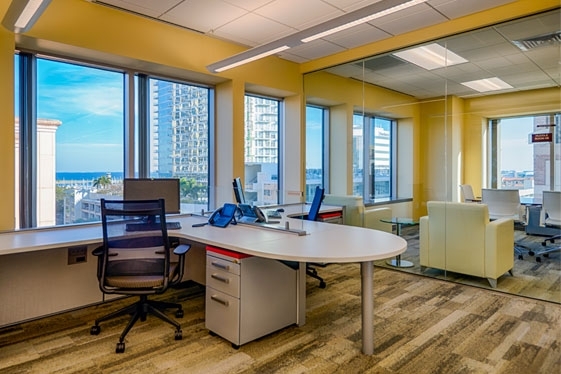 They moved their corporate headquarters into the hi-rise Kucera Plaza tower in downtown St. Petersburg, Florida, transitioning its senior leadership team into a three story space. 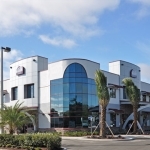 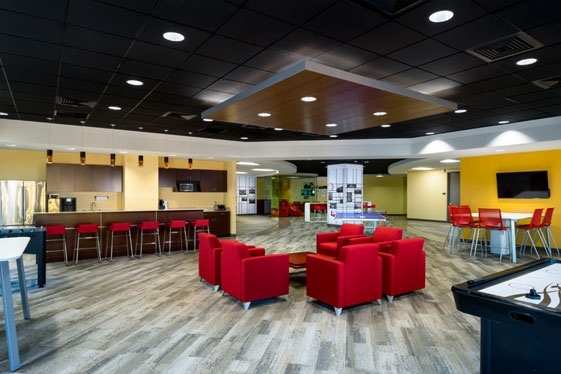 The project was a 30,000 sf tenant build -out and interior renovation, with each floor plate at 10,000 sf. 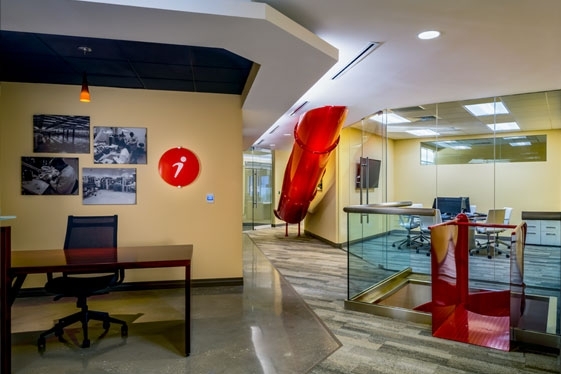 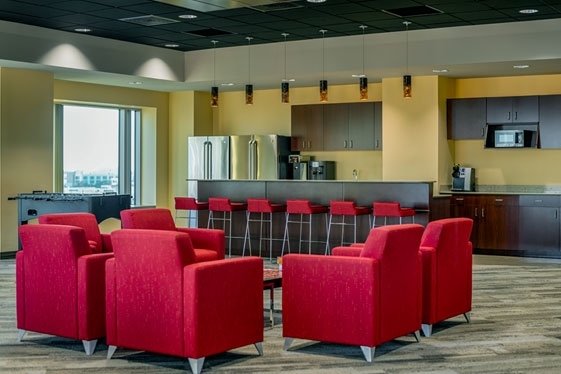 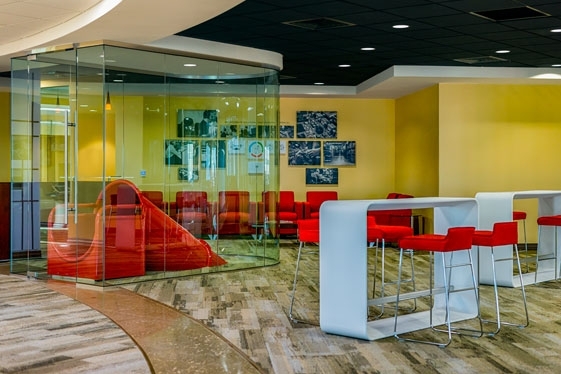 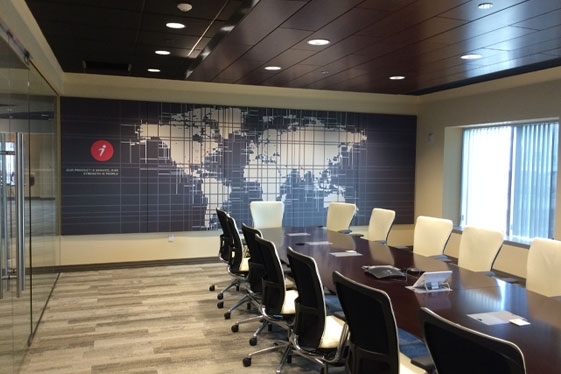 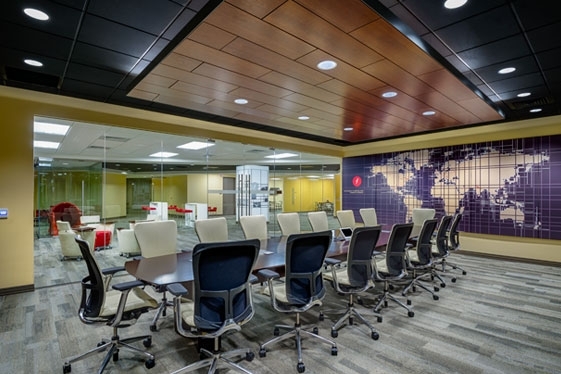 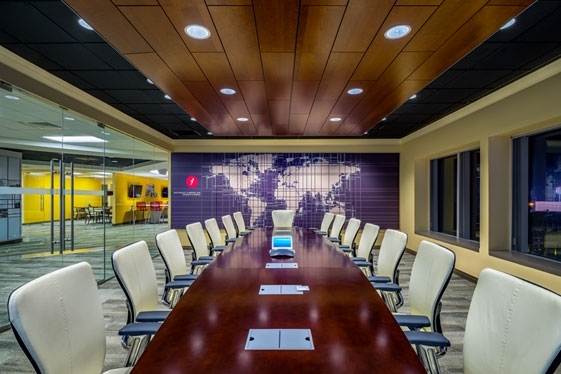 The renovation program included the senior leader ship offices, conference room, collaborative lounge, legal, operations, finance, sales & marketing , talent and technology spaces. 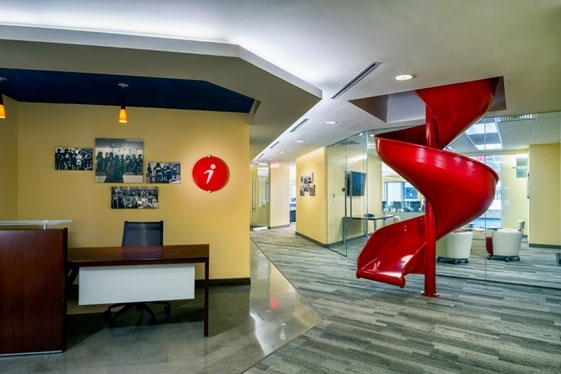 The renovation scope required extensive demolition to the existing interiors and infrastructure, including adding a slide that was cut in from floor to floor for more dynamic circulation. 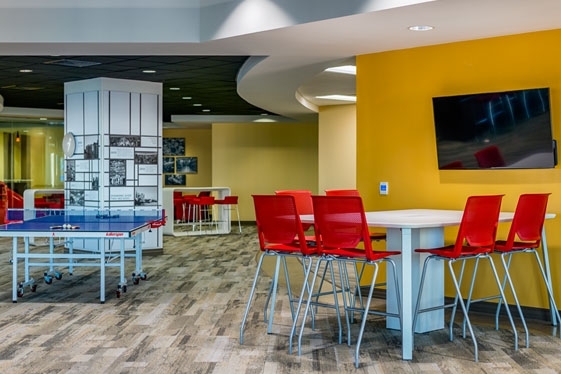 Scope of the work also included changing the walls and layout of the space, upgrades to the air conditioning, updating interior finishes, ceiling finishes, lighting and adding open office systems - all within a four month timeline for design, permit, bid and construction for tenant move-in.